Have you got your tickets for your trips next month or on the first quarter of 2018? Here are affordable fares you might be interested in. New Cebu Pacific promos are valid for trips to select domestic and international destinations. 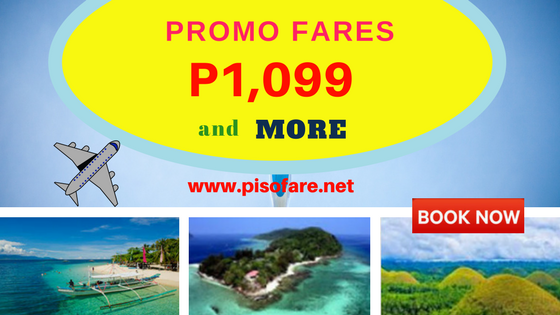 Get as low as P1,099 for local flights and P1,699 for international travel. Promo tickets can be obtained starting today until November 16, 2017 or until sale seats are available. Travel dates for this sale starts December 15, 2017 until March 31, 2018. Thus, you may book flights for your year-end holiday trips. Promo fares are limited and may not be available on all flights. Book cheap tickets now and fly to your desired destination! The Cebu Pacific low fares are good for one-way travel. However, booking for round trip tickets may be done subject to availability of sale tickets. Promo fares are non-refundable but can be rebooked subject to rebooking fees. To avail the promos, you may book tickets online at www.cebupacificair.com. Promo code not required when booking. Read this Cebu Pacific ONLINE BOOKING GUIDE. Another way of getting the low fares is by visiting any Cebu Pacific ticket offices, booking offices or accredited travel agents. Booking the sale tickets is also possible by calling the airline hotline in Manila (02) 702 0888, or in Cebu at (032) 230 8888. Purchase of Add-ons like baggage allowance and picking your favorite seat as well as flight changes can be done during booking or up to 4 hours before flight departure. Interested on this seat sale? Then, book tickets online now or proceed to ticket office nearest you. Happy flying with Cebu Pacific Air! For more Cebu Pacific, Air Asia, Philippine Airlines promo fares and seat sale 2017 to 2018, Follow us in Facebook: PISO FARE TICKET!! !